Edge Case Games, a new British games studio formed from the team behind Strike Suit Zero, today announced it has launched Fractured Space, its new online tactical space battle game, on Steam Early Access. Fractured Space puts players at the helm of gigantic capital ships in epic online, team-based space battles, and promises to be a bold new vision in tactical space combat. To join Early Access play, players can purchase either the Forerunner or Forerunner Fleet packs, priced at $9.99 USD and $19.99 respectively. The Forerunner Fleet pack provides four game keys so players can share with friends and form their own tactical space combat team. Further Founders Packs, with a range of perks, including exclusive ships, crew, boosters and ranks, will be introduced in the future. Fractured Space is powered by the Unreal Engine 4 and is scheduled for a full release in 2015. 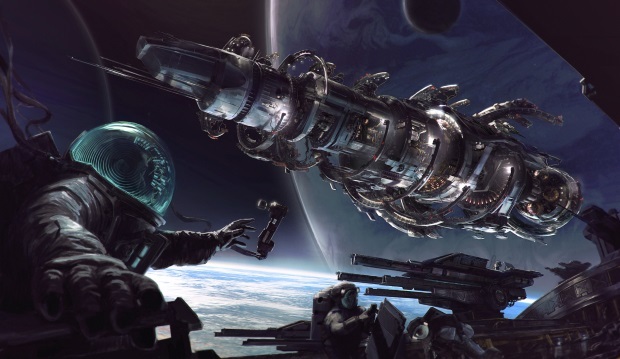 Edge Case has been vocal in committing to an open development ethic for Fractured Space and has held regular private playtest sessions and shared sprint plans, prototypes, concept art and capital ship renders with the continuously growing community.